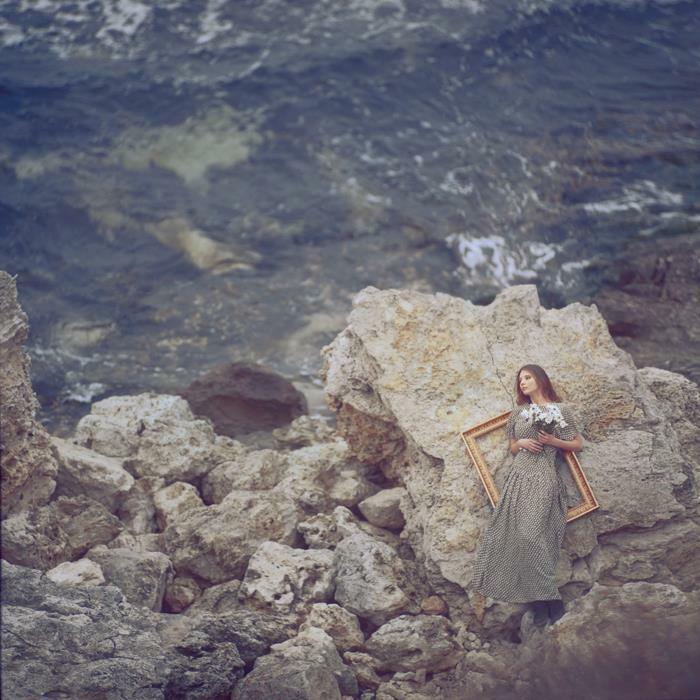 Here is another image created by the incomparable Oleg Oprisco. I like to think of this photo as a woman washed up on a far distant beach cast into the water by some long ago shipwreck. A site called The Peacock Mirror which is owned and managed by Julia Kerr. It sells gently used books, vintage prints and other items. 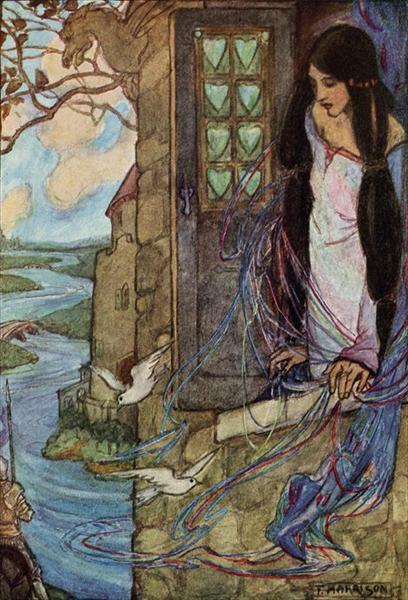 The image I downloaded, The Lady of Shalott, painted by Florence Harrison, was free. Thanks Julia for having such a lovely image on your site, I’m glad I stumbled across it. I enjoy the process of creating a richly coloured and imaged blog. I have finished the structural edit on my novel Castle of Dreams to be published by Allen & Unwin in April 2016. While I was in the midst of this edit it was a priority. I didn’t watch television, go to the movies, have dinner with friends (well, occasionally) and this was the only way I could finish editing by the due date. I had a sense of excitement when I got up each morning and while I knew I’d probably be at the computer for hours during the day and evening I didn’t mind. I went to another place: the world of my characters. Castle of Dreams is a duel narrative story set in the nineteen forties (a period in history I love) and in contemporay times: 2008-2009. The main characters you will meet in the historical narrative are Vivien and Rose, two sisters who have grown up in Castillo de Suenos, and Robert an American serviceman stationed in Brisbane during WW2. In the contemporary narrative you will meet Stella, the granddaughter of Rose. The historical strand of the story, set in far north Queensland, is about the two sisters and Robert Shine the man they both love. It will be nearly seventy years before the consequences of their potent desires are fully played out as Stella looks at a light filled photograph of her grandmother and wonders at the intensity of it. The question will lead her to the truth about those fevered years in the nineteen forties. The story explores the quixotic nature of memory and the perils of obsessive love, and shares dark family secrets which have long been hidden. Paronella Park was the inspiration for Castillo de Suenos the Castle of Dreams and if you google Paronella Park you will see the beautiful images of the ruins of the original castle. In future posts I will write more about Paronella Park and its history. Every flower seems to burn by itself, softly, purely in the misty beds; and how she loved the grey-white moths spinning in and out, over the cherry pie, over the evening primroses. I figure that the approach will be entirely different this time: no scaffolding; scarcely a brick to be seen; all crepuscular, but the heart, the passion, humour, everything as bright as fire in the mist. Then I’ll find room for so much – a gaiety—an inconsequence – a light spirited stepping at my sweet will. How fresh like frilled linen clean from a laundry laid in wicker trays the roses looked; and dark and prim the red carnations, holding their heads up; and all the sweet peas spreading in their bowls, tinged violet, snow white, pale – as if it were the evening and girls in muslin frocks came out to pick sweet peas and roses after the superb summer’s day, with its almost blue-black sky, its delphiniums, its carnations its arum lilies was over; and it was the moment between six and seven when every flower—roses, carnations, irises, lilac – glows; white, violet, red, deep orange; every flower seems to burn by itself, softly, purely in the misty beds . . . .
Look within and life, it seems, is very far from being “like this”. Examine for a moment an ordinary mind on an ordinary day. The mind receives a myriad impressions-trivial, fantastic, evanescent, or engraved with the sharpness of steel. From all sides they come, an incessant shower of innumerable atoms; and as they fall, as they shape themselves into the life of Monday or Tuesday, the accent falls differently from of old; the moment of importance came not here but there; so that, if a writer were a free man and not a slave, if he could write what he chose, not what he must, if he could base his work upon his own feeling and not upon convention, there would be no plot, no comedy, no tragedy, no love interest or catastrophe in the accepted style, and perhaps not a single button sewn on as the Bond Street tailors would have it. Life is not a series of gig lamps symmetrically arranged; life is a luminous halo, a semi-transparent envelope surrounding us from the beginning of consciousness to the end. Is it not the task of the novelist to convey this varying, this unknown and uncircumscribed spirit, whatever aberration or complexity it may display, with as little mixture of the alien and external as possible? We are not pleading merely for courage and sincerity; we are suggesting that the proper stuff of fiction is a little other than custom would have us believe it. Let us record the atoms as they fall upon the mind in the order in which they fall, let us trace the pattern, however disconnected and incoherent in appearance, which each sight or incident scores upon the consciousness. Let us not take it for granted that life exists more in what is commonly thought big than in what is commonly thought small. . . . The idea has come to me that what I want now to do is to saturate every atom. I mean to eliminate all waste, deadness, superfluity: to give the moment whole; whatever it includes. Say that the moment is a combination of thought; sensation; the void of the sea. Waste, deadness, come from the inclusion of things that don’t belong to the moment; this appalling narrative business of the realist: getting on from lunch to dinner: it is false, unreal, merely conventional. 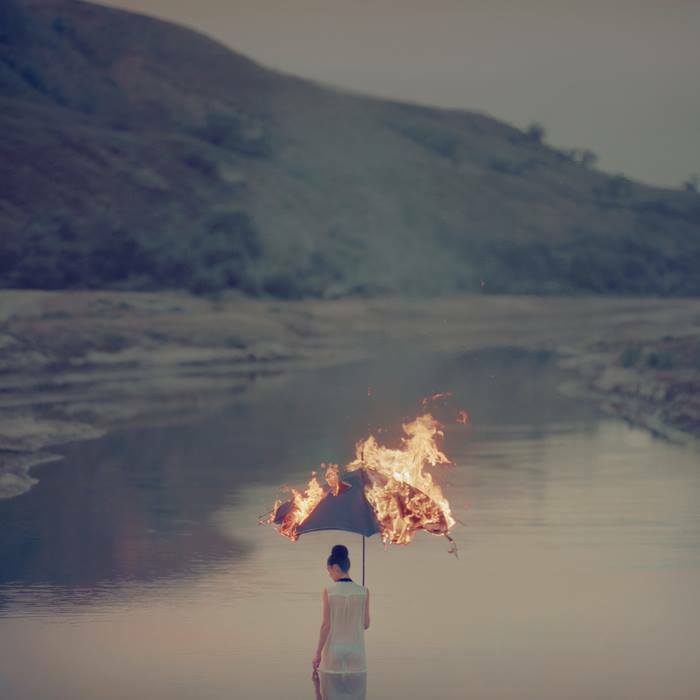 Why admit anything to literature that is not poetry – by which I mean saturated? I that nothing? The poets succeeding by simplifying: practically everything is left out. I want to put practically everything in: yet to saturate. Something moved in the water; her favorite fantail. The golden orfe followed. Then she had a glimpse of silver – the great carp himself, who came to the surface so very seldom. They slid on, in and out between the stalks, silver; pink; gold; splashed; streaked; pied. Ourselves,” she murmured. And retrieving some glint of faith from the grey waters, hopefully, without much help from reason, she followed the fish; the speckled, streaked, and blotched; seeing in that vision beauty, power, and glory in ourselves. Grammar is violated; syntax disintegrated; as a boy staying with an aunt for the week-end rolls in the geranium bed out of sheer desperation as the solemnities of the sabbath wear on. The more adult writers do not, of course, indulge in such wanton exhibitions of spleen. Their sincerity is desperate, and their courage tremendous; it is only that they do not know which to use, a fork or their fingers. Thus, if you read Mr. Joyce and Mr. Eliot you will be struck by the indecency of the one, and the obscurity of the others. . . . Again, with the obscurity of Mr. Eliot. I think that Mr. Eliot has written some of the loveliest single lines in modern poetry. But how intolerant he is of the old usages and politenesses of society–respect for the weak, consideration for the dull! As I sun myself upon the intense and ravishing beauty of one of his lines, and reflect that I must make a dizzy and dangerous leap to the next, and so on from line to line, like an acrobat flying precariously from bar to bar, I cry out, I confess, for the old decorums, and envy the indolence of my ancestors who, instead of spinning madly through mid-air, dreamt quietly in the shade with a book. For these reasons, then, we must reconcile ourselves to a season of failure and fragments. We must reflect that where so much strength is spent on finding a way of telling the truth, the truth itself is bound to reach us in rather an exhausted and chaotic condition. I read somewhere that a writer should read anything and everything, that’s fine if you are castaway on an island and have limited reading material. I don’t agree. By reading you learn to write. Read the best in the genre you write in. Of course ‘the best’ varies from person to person and the main thing is to enjoy what you read. A lovely photo of Tara holding Betty Draper’s blue Monarch beauty case. Jose Paronella was a Spanish migrant, who came to Australia from Catalonia in 1913. He built a Spanish castle in the tropical rainforest of far north Queensland. 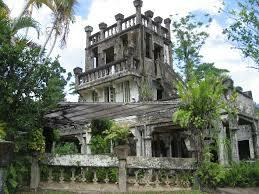 Jose’s castle was the inspiration for Castillo de Suenos the castle in my novel. I like to think Jose and his wife Margarita would have enjoyed my story. and the kauri avenue they walked along. I have a friend who is staying with her family in Turkey. It’s a country I’d love to visit. Meryem Ana – The House of the Virgin Mary is in Turkey. It is a Catholic and Muslim shrine located on Mt. Koressos also known as Mt Nightingale in the vicinity of Ephesus, 7 kilometres (4.3 mi) from Selçuk in Turkey. See below for the beautiful image of a woman at the wishing wall. The shrine itself is not extensively large, but may rather be described as a modest chapel. The preserved stones and construction date back into the Apostolic Age, as consistent with other preserved buildings from that time, but with minor additions such as garden landscapes and devotional additions outside the shrine. Upon entrance to the chapel, a pilgrim is met by one single large room where an altar along with a large statue of the Blessed Virgin Mary is prominently displayed in the center. On the right side, is a smaller room traditionally associated with the actual room where the Virgin Mary is believed to have slept. Marian tradition holds that some form of running water used to flow like a canal in the smaller room where the Virgin Mary slept and rested, leading to the present drinking fountain outside the building structure. powers of healing or fertility.